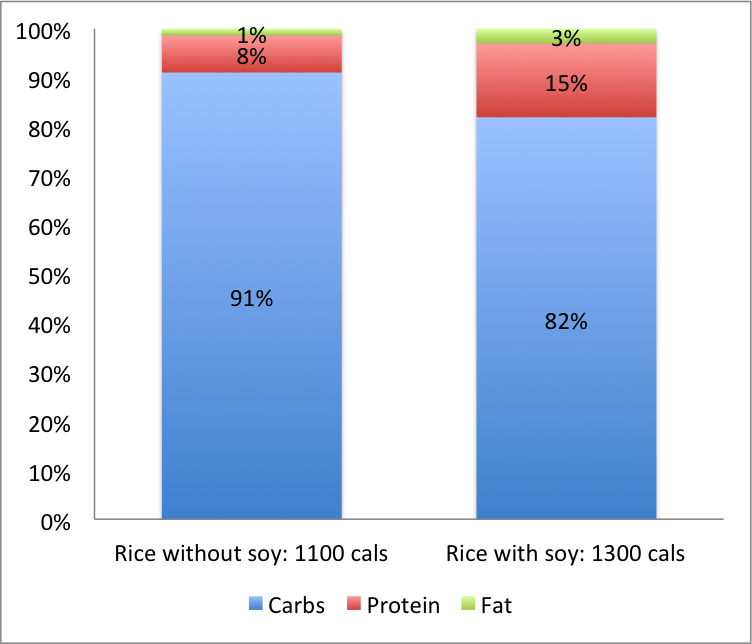 The difference would look something like this: 50g of soybean would add 200 calories with 28g of protein, raising the proteins closer to minimum healthy levels and calories closer to daily requirement. And, all this comes at a cost of only Rs. 2 at open market prices in Bangalore! Could there be some scale benefits if the government procured large quantities of soy? Likely. State governments, often give pulses or other coarse grains on top of the central food allocation. 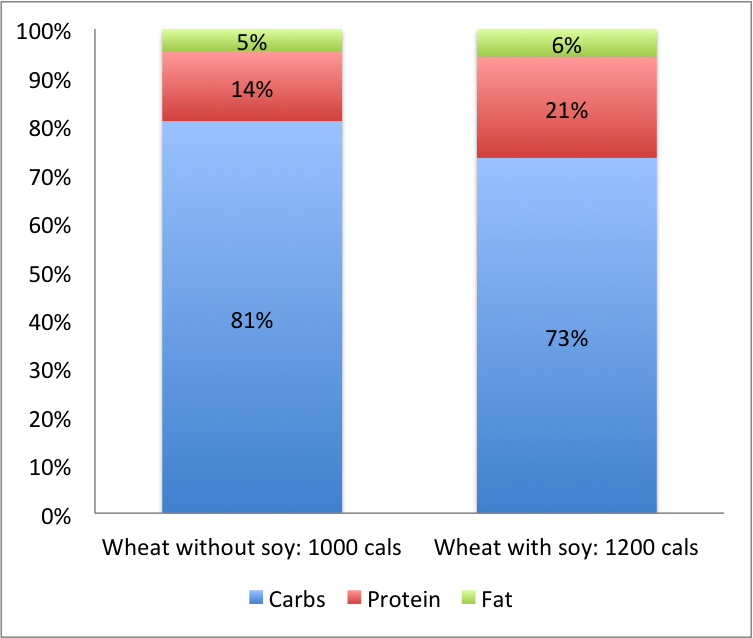 However, as our chart showed in the previous blog post, pulses don’t provide quite the bang for the buck that soy does. Is there a history of the government providing protein rich foods? Some of you may remember Bal-Ahar or Bal-Amul, a milk solid+soy supplement started as a weaning food for children in the 70s and 80s. But there is little mention of this wonder-food beyond the early 80s. (We would be grateful if anyone can shed light on soy-linked products since the mid 80s). Currently, the government does think about protein and other nutritional supplements for infants and pregnant mothers and tries to cater to them through special interventions such as ICDS (The Integrated Child Development Services Program). Same is also proposed in the National Food Security Act. But, can a more comprehensive nutrition intervention policy be extended to the masses? While that might take a while, can we at least begin by substituting or supplementing some rice or wheat with soy rich products like the Amul-ahar? A protein (animal) deficient diet, clearly saw us losing weight, muscle mass, and cholesterol rapidly during our month long experiment. Could this explain why our hard laborers remain bone thin without much muscle mass or why they usually submit to frequent injuries and other ailments that lead to early retirements? 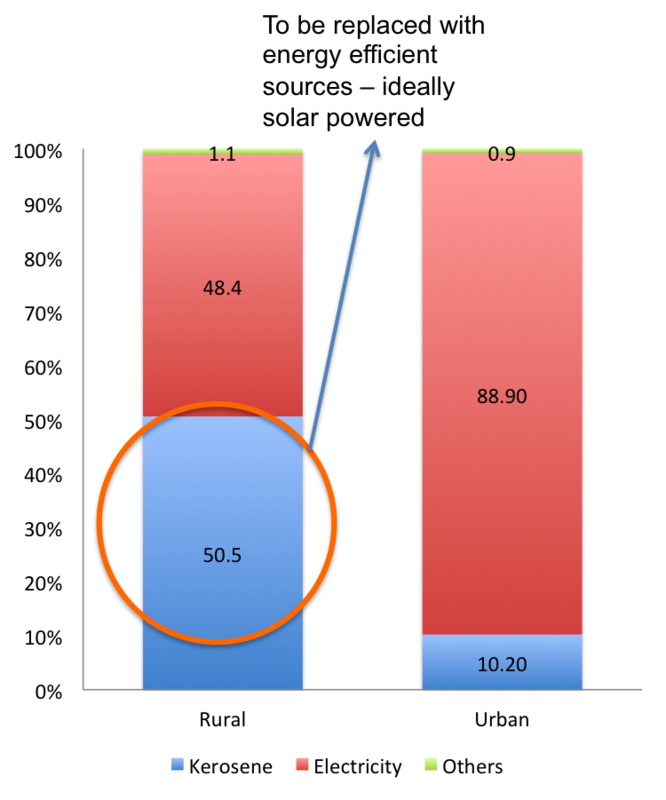 If we don’t shift the nutrition balance of PDS to one having a larger share of proteins, it could well mean an underproductive workforce that may not be mentally and physically fit to carry the economic growth this country expects and deserves for long. Any planned comprehensive nutrition PDS intervention can be made age relevant if we moved to UID enabled Online Food Accounts. Those accounts could be used to integrate special intervention schemes, such as ICDS, with PDS by offering a joint food account for the family or individual that is customized. Also, a big point of debate has been the supply of kerosene through PDS. It is well established that kerosene subsidy leakages are to the order of 40% of the total subsidy, costing around $2.5bn in leakages each year. Many efforts have been made to reduce this, including direct cash transfers as pilots. The latest taskforce under Nandan Nilekani (see pg 48) is exploring better direct transfer of subsidies to individuals and families using the online UID framework. However, in our opinion, it is worth exploring whether kerosene itself should be subsidized and distributed to the extent it is done right now. Data supports that nearly half of rural households use Kerosene primarily for lighting, which is much more inefficient and more expensive than using electric sources. See this report by India Development Foundation (page 16, 17). It is widely recognized that electricity is the long term solution for lighting. Therefore, with a growing number of sustainable renewable energy options, shouldn’t there be a case for systematically reducing the dependance on kerosene? But, what about those that use kerosene for cooking?Our experience in Kerala was that kerosene is not widely used as a cooking fuel. It was used sparingly to light firewood and to supplement LPG (we were told that it isn’t very efficient as a cooking fuel). We found further evidence to back up this observed behavior in the same report by India Development Foundation (page 16, 17). 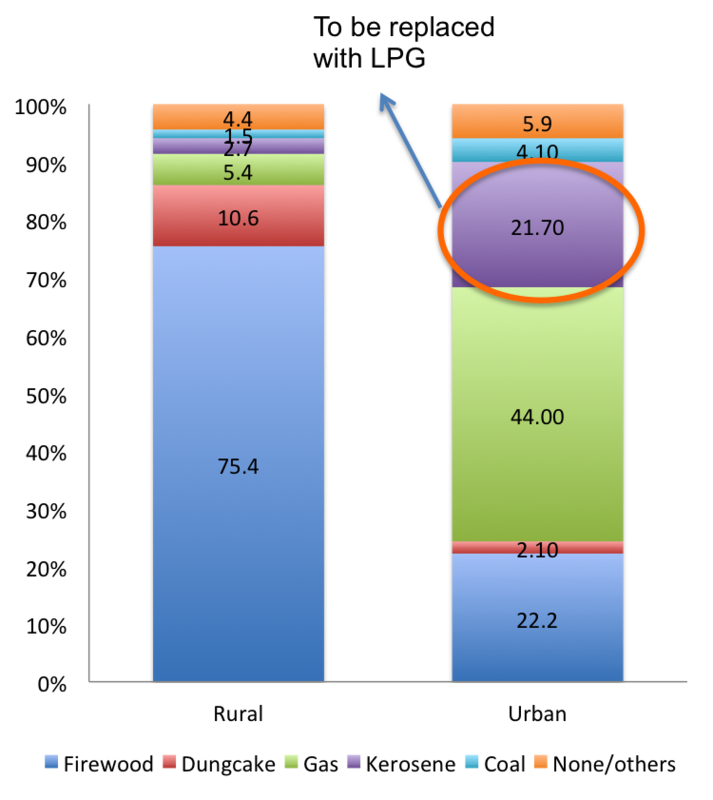 In the year 2000, only 2.7% households use kerosene as primary cooking fuel in rural India. Yes, this figure is much higher for urban India at 21.7%. However, urban households have extensive access to LPG networks and it is likely that these houses are not in need of kerosene but have been neglected by LPG networks. Therefore, the right long term solution has to be to resolve this negligence. That “subsidy on kerosene should be phased out” is something that the planning commission has also stated previously. However, it is a no-brainer that any reduction in kerosene is politically difficult and in fact deterimental to the social safety of the average Indian, if done abruptly. But, if this phase out can take place over a 10 or 20 year period, such an extended time horizon will give current beneficiaries time to adopt to other sources of energy – LPG and solar, respectively – for cooking and lighting. This long window would also ease political obstacles and allow the government to modify existing agencies and policies to accommodate the new power sources. There are precedents (for instance, the Montreal Protocol) for such phased-in changes in the international policy space. Let’s set long term cutback targets for kerosene and substitute it with cleaner and more efficient energy sources. The savings on kerosene leakages alone (Rs. 10,000 cr+) can easily provide for a much more balanced, nutrition filled diet for the people of India, which is critical to create a well-fed, productive workforce.